The city of Santa Ana is Orange County’s seat. It is also the second most populous city in this California county. According to the 2010 U.S. Census, it had a population of 329,427 at that time, which means it is the 57th most populous city in the country. Located in the south of the state, next to the Santa Ana River and just 10 miles from the coast, the city, which was founded in 1869, is part of the Greater Los Angeles Area. With 18 million residents, this is the second largest metro area in the country. Additionally, Santa Ana has been ranked 4th safest city with more than a quarter of a million residents in this country. Santa Ana Retail Building for Sale & Lease – Should You Buy or Lease? If you are interested in retail space, for the purpose of an investment or for running a business out of, you have two broad options available to you: buying or leasing. There are pros and cons to both of these options. That you can make use of substantial tax deductions, including property taxes and mortgage interest. That you can build up some savings, as the property is likely to appreciate in value over time. Having high upfront costs, not in the least a 30% down payment on the mortgage. You will also have maintenance, appraisal, and other property costs to pay. You can get a prime property, which can significantly enhance your public image. You have more working capital available because you don’t have to pay for a large deposit. You can focus on actually running your business, rather than being bothered by the stresses that come with property ownership. Your costs will be variable, with regular rent increases. To help you make a choice on whether to buy or lease, being aware of the trends and statistics in terms of prices, supply, and demand, can be very beneficial. The asking prices for retail properties in Santa Ana in dollars per square foot is $408.88, which has remained the same over the past three months, and represents a 14.5% increase year on year. This is higher than the metro ($282.45) and state ($214.98) area. The index of total available retail properties for sale in Los Angeles-Long Beach-Santa Ana is 45, which represents a 9.7% increase over the past three months and 7.1% increase year on year. The index of total number of listings of retail properties available in Los Angeles-Long Beach-Santa Ana is 35, which is a 2.6% decrease over the past three months, as well as a 10.6% decrease year on year. The profile view index retail for sale in the Los Angeles-Long Beach-Santa Ana metro area is 123, which is a 10.6% increase over the past three months, and a 14.7% increase year on year. The index of total square feet of available retail space for sale in the Los Angeles-Long Beach-Santa Ana metro area is 34, which is a 3.2% increase over the past three months, but an 8.5% decrease year on year. The asking rent for retail properties for lease in Santa Ana in dollars per square foot per year is $24.16. This represents a 0.7% decrease over the past three months, but a 4.7% increase year on year. This is higher than the state ($20.88) as a whole, but lower than the metro ($24.88), and county ($24.21) area. The index of total number of retail spaces for lease in the Los Angeles-Long Beach-Santa Ana area is 71, which represents a 2.4% increase over the past three months, and a 1.4% increase year on year. The profile view index for retail properties for lease in the Los Angeles-Long Beach-Santa Ana area is 91, which is a 49.3% decrease over the past three months, and a 47.5% decrease year on year. 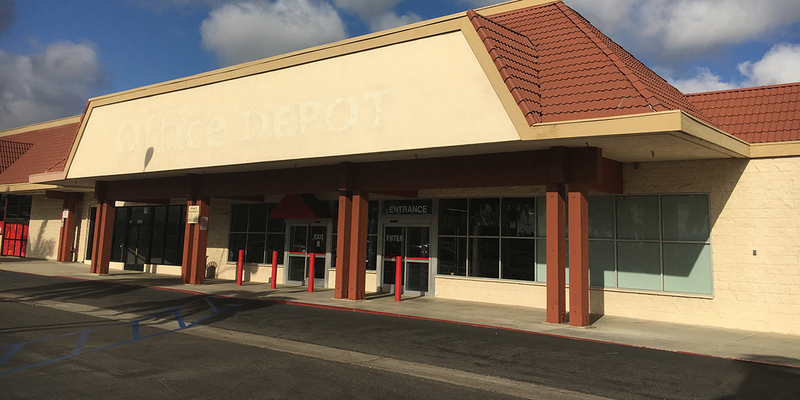 The index of total square feet of retail space available for lease in the Los Angeles-Long Beach-Santa Ana area is 69, which is a 5.3% increase over the past three months, and a 3.3% increase year on year.